Teeth straightening is a great way to get the smile you have always wanted, yet the process is not always fast. Nowadays, there are better ways to straighten the teeth. These new processes are called accelerated orthodontics, which is forms of treatments aimed at achieving regular orthodontic treatment at a faster rate. This is an excellent option for busy adults because the restoration happens in months, not years. This aspect means you do not have to worry about repeated dentist appointments. This device is a hands-free gadget installed with an activator that the patient wears daily, 20 minutes at a stretch. It works with existing teeth straightening devices such as braces. The device has a mild pulsing technology to hasten teeth movement depending on the placement of your braces. This method stirs the bones surrounding the teeth to boost cytokine activity. This strategy makes it simpler and quicker to remodel the bones. It also has the advantage of targeting single, specific when needed. This is another method to trigger the activation of cytokine, complemented by the delivery of force to push the teeth into its proper position. This method can also hasten the process because it provides a gap for teeth to move. Wearing a retainer for six months is necessary for all of the methods listed here. This will aid bone recovery and keep the new teeth’s position stable. You are likely qualified for any of the methods if your permanent teeth have entirely grown and your bones are healthy. The dentist will perform a series of examination to ascertain if you are qualified for the treatment. Eligibility entails proper function and assessment of oral and facial options of your mouth, mouth interior and face photographs. The primary advantage of these methods is the accelerated teeth straightening time. 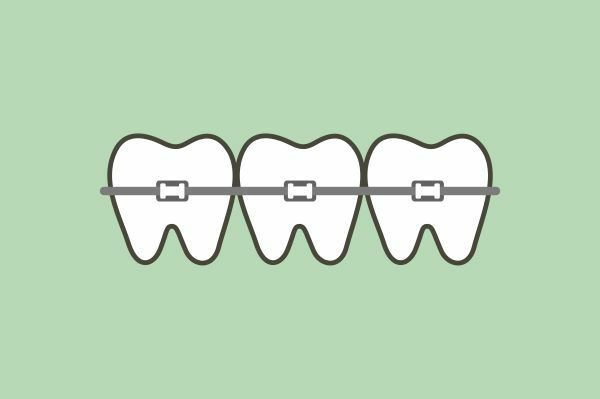 Some consider it less painful in contrast to wearing conventional metal braces and other teeth straightening devices. It can also save the time and cost of continually visiting your dentist with your braces on. They are also known to reduce risks of calcification. The major drawback to these procedures is the surgical operation involved and the discomfort that occurs afterward. Dentists who want to apply this form of treatment also need more training. As with other dental procedure, the cost varies on the condition of the teeth and the requirements. The cost of accelerated orthodontics using surgery is around $4000. This price is comparable to the value of conventional braces yet much faster. Although accelerated orthodontics is the best way to straighten teeth, it is not limited to a single treatment. It is a combination of multiple types of procedures. It is cost effective and faster, which makes it the better option when compared to traditional solutions. The best way is to book an appointment with the dentist to know which option would be the most suitable for your condition. For more information or to schedule an appointment with MG Dental, request an appointment in our Brooklyn dental office here: http://mgdental.com. Or call us at (718) 416-6444.